I sell my handmade creations on & off & its fun to create for others. I create for my family & friends a lot but I specially enjoy getting online feed back of my readers/followers this way! 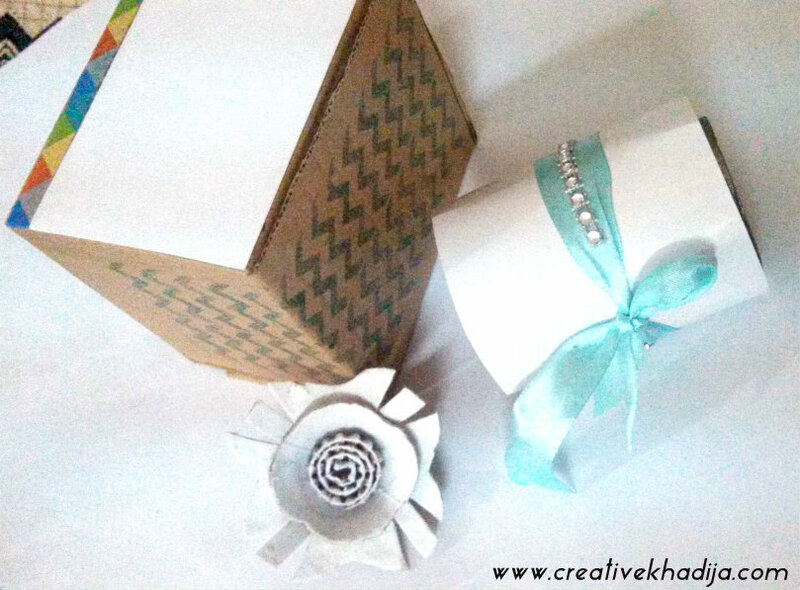 Mostly I sell abroad and sometime in Pakistan too, I enjoy doing everything arty crafty & creative! 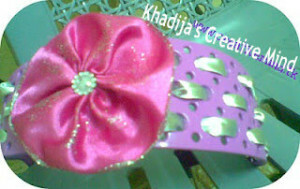 So here today some of headbands I am sharing which I sold out & some are still for sale. 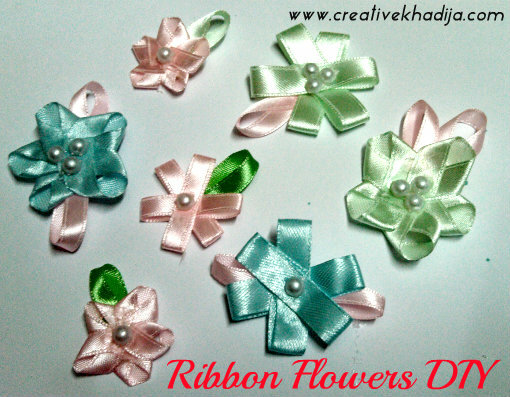 Ribbon flowers are always pretty and look so delicate, Once I design my black & white printed shirt with loads of different colors mini ribbon flowers & that was appreciated by my readers a lot. 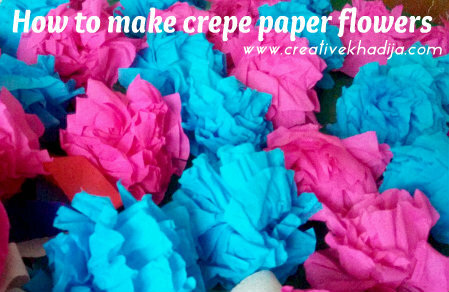 I love fabric flower making as well, the technique of all types of flowers making is almost same but silk ribbon flowers making is a bit more fun because of their shine and smoothness! 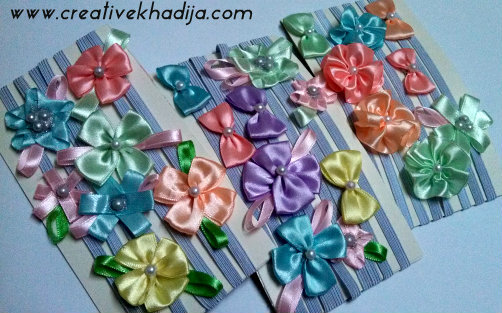 Today I will be sharing some of my ribbon flowers headbands which I made for a customer, There were about two dozen headbands for a little angel living abroad. 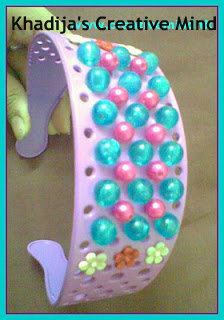 They ask for different colors and a few designs of their choice, So I work according to their requirements.. 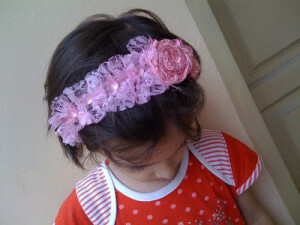 Here are all the headbands with small bows and flowers. seems simple but cute & perfect for baby girls. Have a look now! 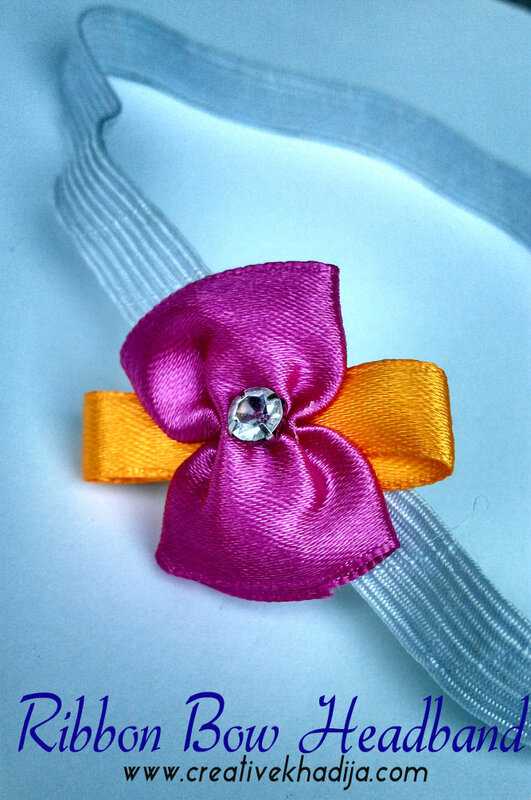 I was looking for some colorful elastic bands but unable to find, so these white/grey are looking fine with these colorful ribbons. 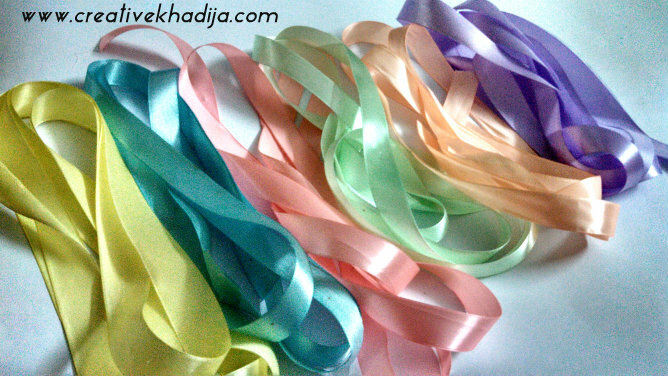 As my customer’s requirement was light girly colors, So I get these ribbons from the local market & width is different but all of these are silk ribbons. These are so cute, fluffy and fine..I made some of these for my niece too. looking cute..isn’t it..? 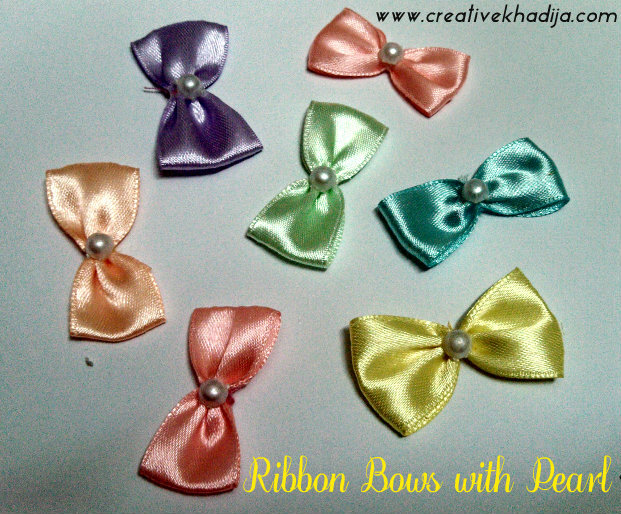 Here I make a bow and arrange the other bow over it & fixed the pearl bead in the middle.. 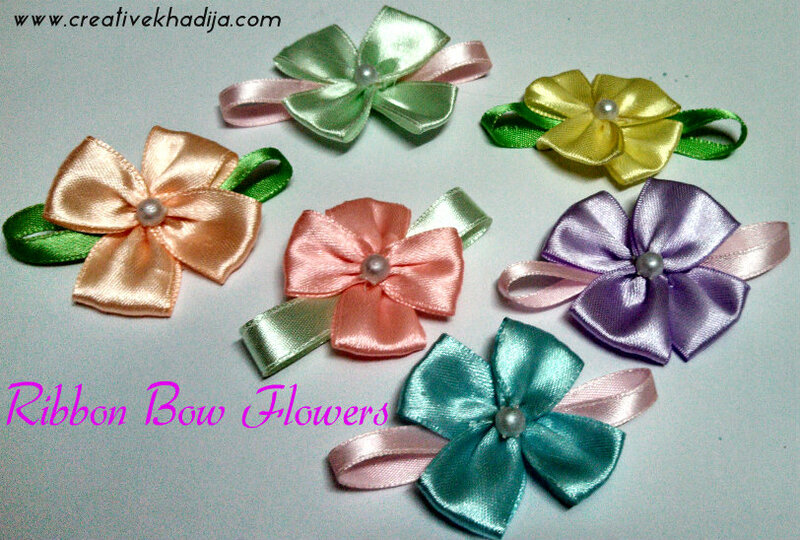 So many pretty bows in different colors.. Some random clicks.. 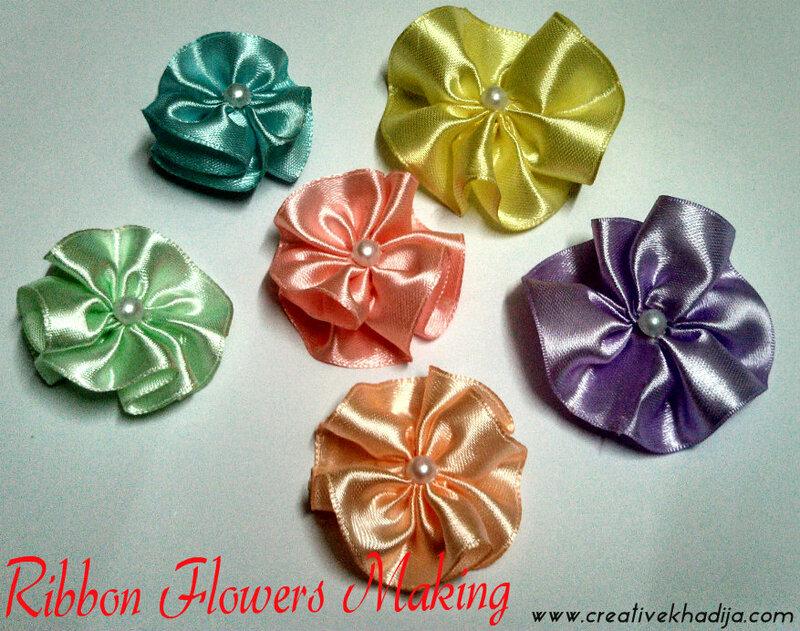 Simple and colorful ribbon flowers.. their making is not difficult.. if you want to know any of the ribbon flower making among these, you may ask me for the tutorial, So I will be sharing ! 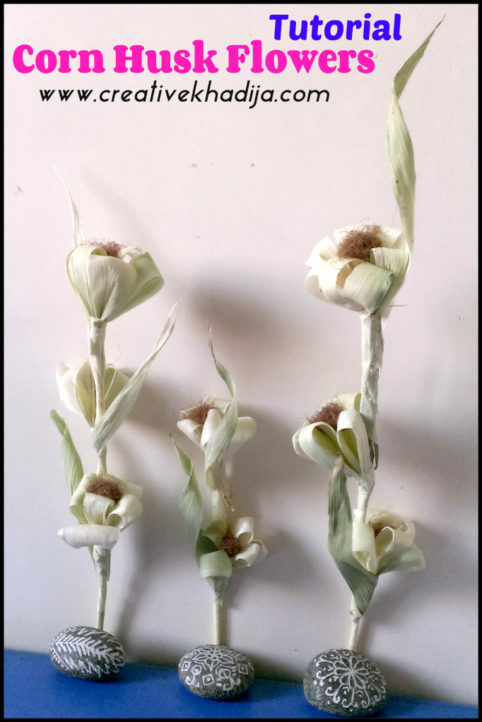 actually when I was working on this project, I was having some other projects too, so I was unable to take step by step pics of every flower, I thought to click some how-To pics though. Well I am happy my customers are always satisfied with my every art & craft project, their appreciation means a lot. I am also trying to improve my photography skills when it comes to product photography! Well I try my best for taking some good clicks of my art & craft work. 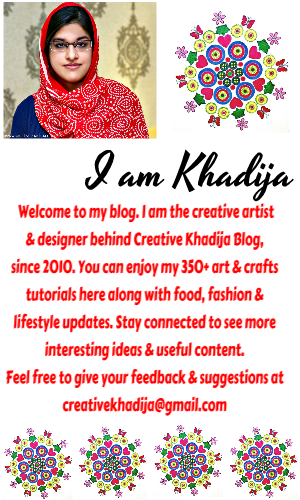 Have a look at these tutorials and ignore the poor images quality & random mistakes in the posts, these were from the time when I was a newbie at blogland. Have a great day friends.. 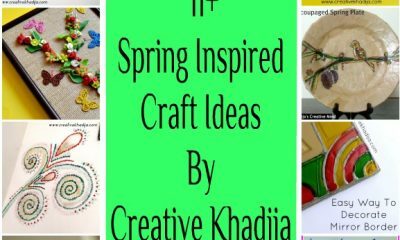 Happy Creating & Selling Handmade! The photos look great in this post! 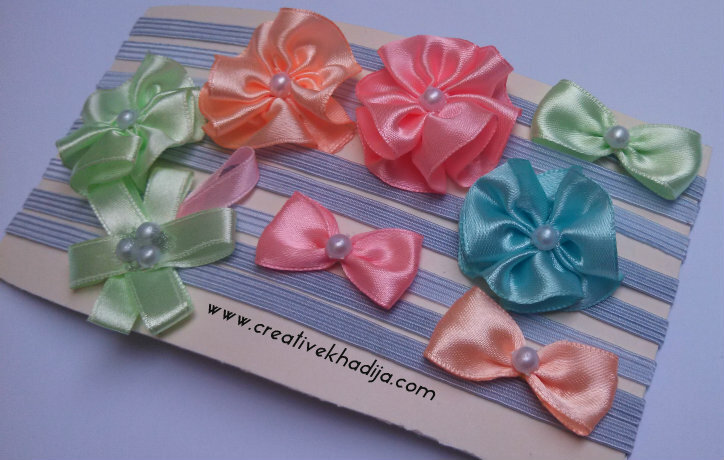 I really love the sets of small headbands on cards, they look so pretty in a group and the simplicity of each one is nice. Such pretty colors together! These are so pretty! Thanks for sharing on the Monday Funday Party! 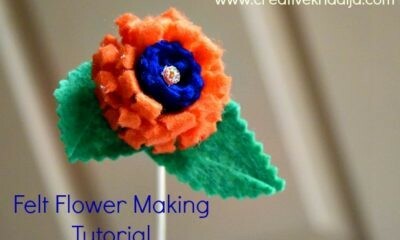 Lovely hair flower ideas!!! Love all! Thanks for sharing! 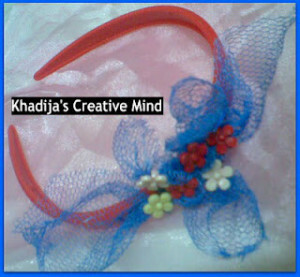 Thank you Ana, Enjoy the ideas..
Love the headbands! Just adorable. You’re such a talented lady! Have a wonderful weekend. 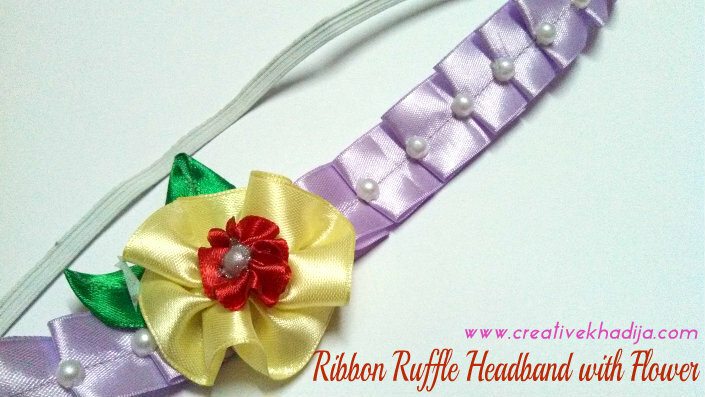 LOVE the pleated look of the first headband. Beautiful creations! Thanks for sharing on Sunday FUNday!